The phisical connection between urban and natural landscapes is a distinctive feature of this incredible city, a bond that finds perfection in the fading of the Sassi into the Gravina canyon. 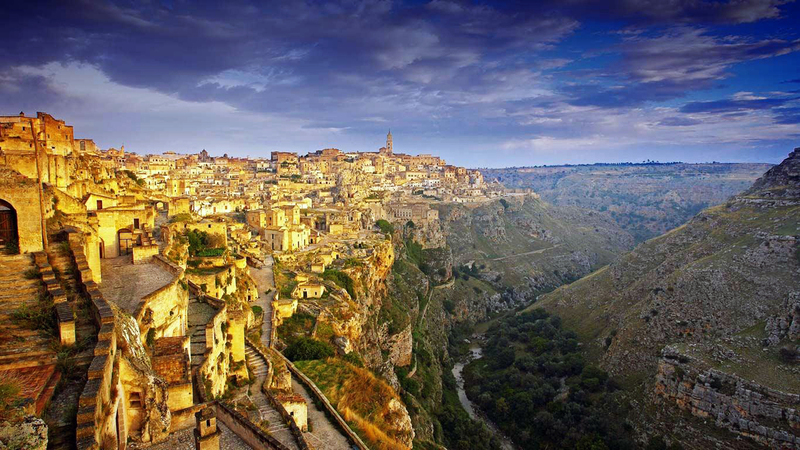 To have a true impression of Matera, you should visit both environments, observing the Murgia from the Sassi and viceversa. The shadow of Matera’s ancient past seems projected on the opposite side of the canyon, where the rock keeps untouched the archetype of the rupestrian settlement. From the top of the plateau, the tangle of houses, churches and palaces, now again full of life, shows with pride its charming ensemble. This route, requiring a full day, is conceived to satisfy even the most demanding visitor. 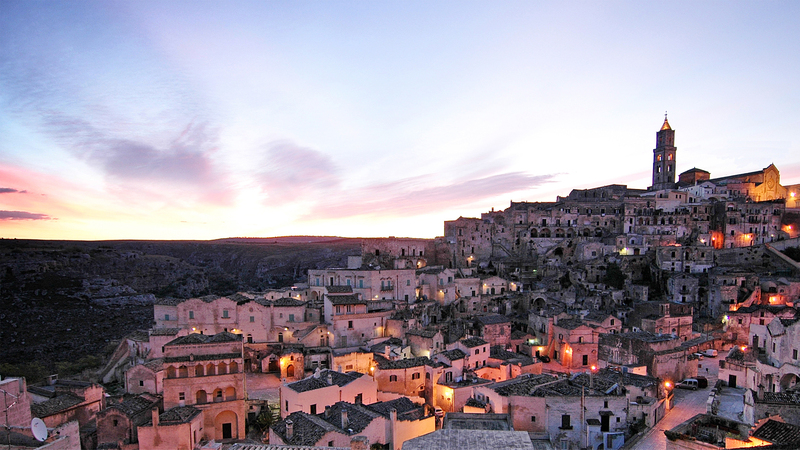 In Spring and Summer, when days are longer, it contemplates a guided tour of Sassi and Old Town in the morning. In the afternoon, the route moves to the Murgia (Murgecchia or Murgia Timone) by car or by feet, crossing the river on the bridge or jumping on the rocks upstream (take a look at route 3 for details). If weather is fine, in Autumn and Winter we can face the hike to the Murgia in the morning and then visit the city in the afternoon. For lunch, you can suit yourself or (strongly recommended) trust us! N.B. : for the Murgia hike you need proper shoes. Take a look at the videos made by SkyVideo and VisitMatera for a little preview of some of the sites we’ll encounter along this route!